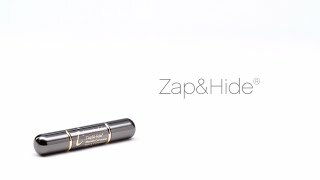 jane iredale Zap&Hide Blemish Concealer covers & soothes blemishes. 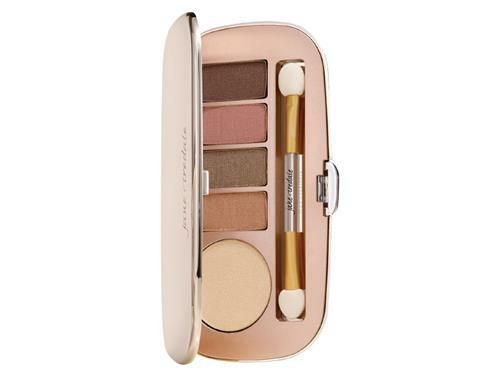 When a sudden breakout appears, you need jane iredale Zap&Hide Blemish Concealer. This creamy concealer covers acne with highly pigmented minerals while calming redness and inflammation with beneficial botanicals. Psoralea Corylifolia extract helps soothe the redness and irritation associated with acne while tea tree oil helps balance oil production. 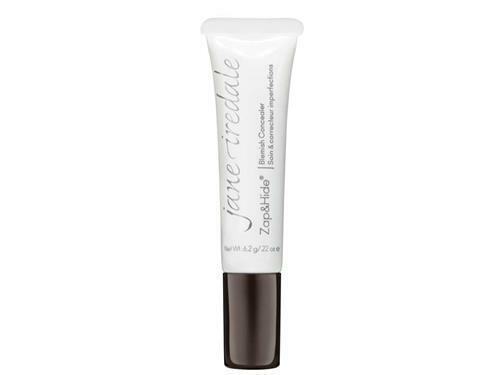 This jane iredale concealer also contains willow bark extract to calm and soothe the complexion. jane iredale Zap&Hide Blemish Concealer layers easily for customizable coverage and its staying power limits the need for touch-ups throughout the day. Tell us your thoughts about jane iredale Zap&Hide Blemish Concealer and receive 50 rewards points! I struggle with blemishes popping up at the most inopportune times. This concealer really helps hide them and helps heal them quickly. At first when I tried to apply, I made several attempts at pressing the tube and nothing happened. I thought maybe I was doing something wrong. It finally came out, and since then, I've had no trouble with the application. The applicator nozzle feels cool, making it soothing and the tint covers well. Although I am fair skin and got the lightest color, I thought at first it was too light, but I think it's going to be OK. It really does help get rid of breakouts much faster than if left to their own cycle. Plus, it helps you not pick at it because it soothes and does it's magic! The blemish concealer is very light in color and does not blend in with my skin tone. The blemish concealer also fell out of its tube. The tube is defective since I can not gradually move the product in and out of the tube. The clear balm feels greasy. This is the first time Ive purchased this hide stick. I was very pleased that it covers well and blended into my skin beautifully. Just like it says, one side zaps and the other conceals...works the same day to diminish and eliminate spots!